HTC Peter Chou says media reports on the Apple patent deal fees are "baseless"
HTC chief Peter Chou is in Tokyo today to unveil the J Butterfly monster of a handset (think the Droid DNA, but with microSD slot), and he had some not very kind words to say on the Apple-HTC patent deal reporting. Answering a reporter question about the terms of the deal, which some analysts pegged at $6-$8 per HTC handset going to Apple for patent licence fees, Peter Chou called those claims "baseless". The reporting that ensued after HTC signed off on the deal is according to him "outrageous" in terms of the amount of money changing hands estimates that analysts concocted and the media parroted. He said HTC is very comfortable with the licensing fees that Apple demanded, so the hint is that the fees are not as much as many publications were inferring when the news broke. no, every-one has to fight against such a r*tten company like Apple is! just look what Apple IS doing: bit [dot] ly/RYzOPP unbelievable thief = Apple because of greedy Apple we ALL pay higher prices for eBooks!!! Mr.Chou needs to be pimp slapped. Give apple nothing and stand strong don't be weak. Samsung will show everyone that YES APPLE is soft. Thumbs up brother, but shave off that mustache for Christ sake. My kids would fear you! You guys are so dumb. 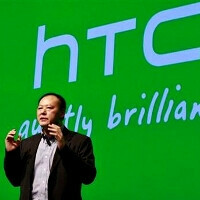 HTC is not a company that is worth over 100 billion. HTC has already lost a couple of case. Remember the product ban that happen to HTC. Samsung will not get off not planning Apple, but that money is nothing for them. Well, I guess the patent deal wasn't really mutual after all. Htc knowing well how money greedy and money thirsty apple are prob sat there to themselves pondering what the lowest sum of money possible they could offer Apple and get away with it,small enough monetary value that htc aren't too bothered about it but high enough to keep the juvenile litigious Apple away. Exactly, sounds to me like he's whistling in the dark, or talking out both sides of his mouth. Companies keep all kinds of things secret but when a story hits the web like this did, time to clear the air with some real stats, not vague opinions. Samsung Fought and what happened :-- Fukin 1 Billion Dollars !! The reason why I buy Samsung smartphone and tablet. Stand tall against all bully. 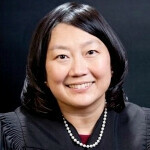 Until the final trial verdict is handed in, Samsung hasn't paid Apple a dime. Someone with a user name like yourself should have known that. Unfortunately it's not so simple. HTC doesn't have THAT much money on hand to keep fighting Apple. Apple has a huge cash reserve which they can use to keep the litigation going and possibly buy judges/ juries to vote in their favor. It's just like those RIAA/ MPAA scare tactics on the average person who simply can't afford to fight the giants in court and end up settling, even if the piracy charge is bogus. You can say whatever you want about Apple, and it wouldn't put a dent on them. Their followers are huge! Like they say, "once you go mac, you won't go back". That's why I don't use one. My work place is filled with Apple except two found the GS3 was the best thing they ever bought. They love the beautiful screen and size. As for me, well, once you use WP, you're all alone". 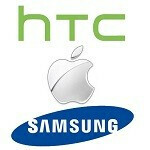 Apple and HTC unite and kill off samsung and lg p.o.s. 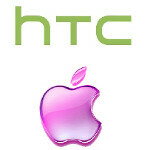 and yet HTC has to pay apple in the most unwilling way. HTC has lost all my respect. I used to introduce HTC handset to friend. Now, all my close friend use Samsung. Each and everyone of them are tired of apples' tyranny. Happy to report some are 4s user. They don't have the huge financial backing as Samsung. 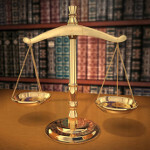 They can't afford to continue these litigations. Its best to settle and move forward.